Woosmap Documentation | Woosmap is a Platform for Developers to enable Location Intelligence in their Website and App. Get access to tutorials or explore our API References. Geolocation API, Guides, Tutorials and References. Woosmap is a Platform for Developers to enable Location Intelligence in their Website and App. In this documentation, you’ll learn how to start embedding Woosmap features in your website, and we’ll provide some helpful resources to use as you work. With Woosmap Recommendation API, you will be able to automate store selection for your site. Based on Woosmap database of millions of cookies, the Recommendation API returns two different datas: the estimated Lat/Lng coordinates of the user’s Zone Of Interest (to feed your own store search API), or a list of stores sorted by distance (if you have loaded your data in Woosmap Cloud). Save time by implementing Store Locator that will make sure you use your Google Maps Licence with the best practices. 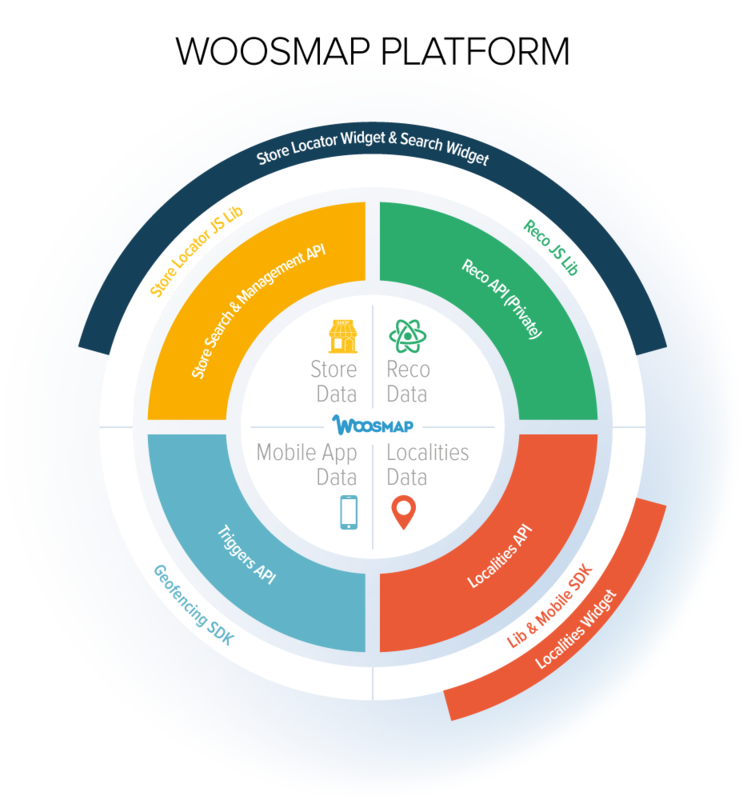 Centralize your store data in Woosmap cloud. Check our full guide on how to prepare and send your data, in a way that creates great relevance. Turning your Mobile App into a Location Based Assistant is a big challenge. Woosmap Platform provides a SDK, Geotargeting algorithms and a configurable campaign & triggers management system. We’re always happy to help with code or other questions you might have! Search our documentation, contact support, or connect with our sales team.